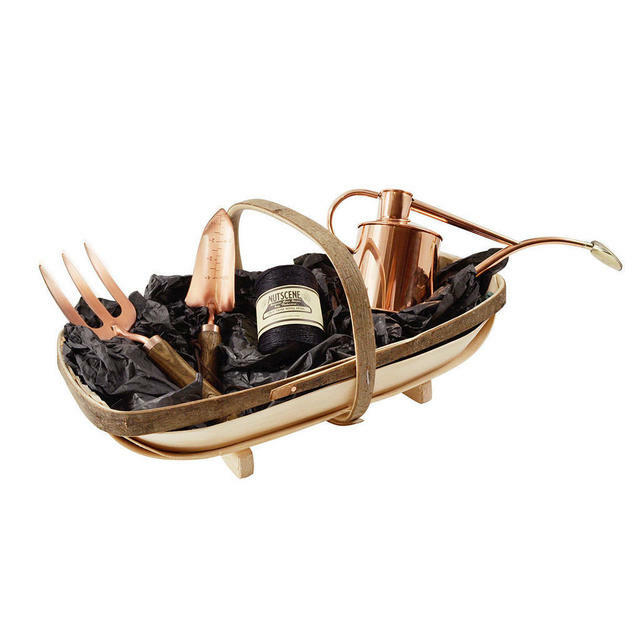 A seriously luxurious treat for any gardener. This gorgeous gift set is a delightful, yet very practical, treat for any gardener. 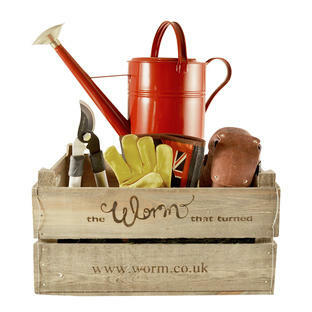 The Royal Sussex large trug, which is still hand-made in Sussex in the same traditional way they have always been made, since some were ordered by Queen Victoria at the 1851 Great Exhibition. 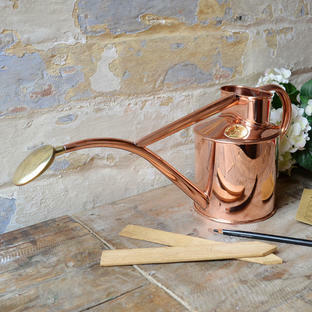 A small indoor copper watering can, 1litre capacity with a fine rose for precise watering. 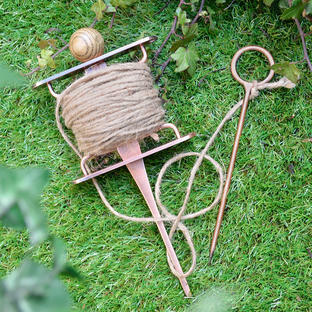 The benefits of using copper hand tools have been extolled over the centuries, from the popularity of copper helping keeping slugs and snails at bay, to the idea that the use of copper tools in cultivation will help benefit and improve the soil. The hand trowel has a long, slim scoop with etched depth markings. The hand fork has sturdy tines to help with turning the soil. A spool of black jute garden twine to tie and tidy those perfect plants. Royal Sussex trug size 7 made from sweet Chestnut and Willow. 1 x copper watering can with a fine rose. 1 x hand trowel with long, slim scoop with etched depth markings, with wooden handle. 1 x hand fork with wooden handle. 110m of 3 ply black jute twine. 3 strands of twine make up the 3 ply. The thickness of this twine is approx 3mm.